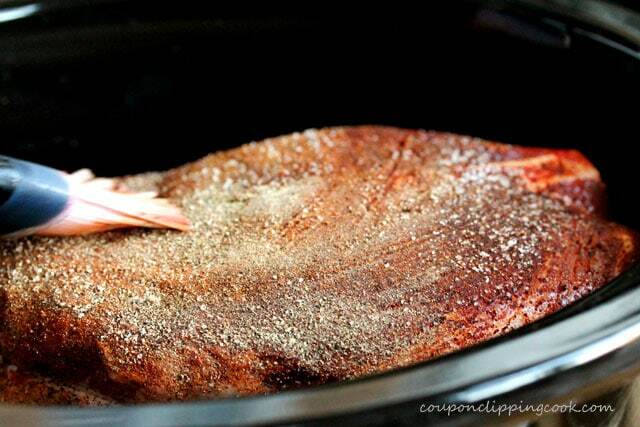 Get more “you” time in your day and let the slow cooker do all the work. 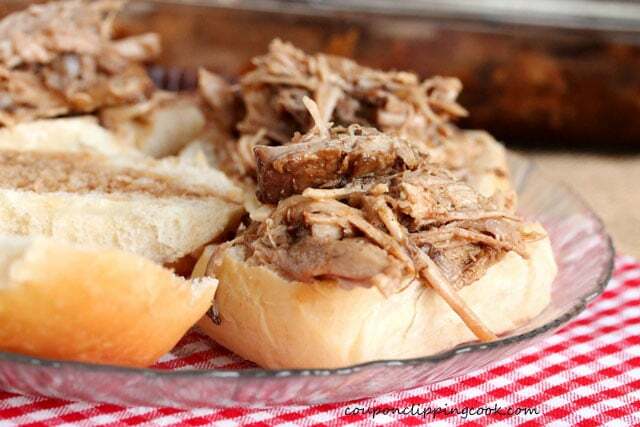 There are so many reasons why pulled pork is a good thing. 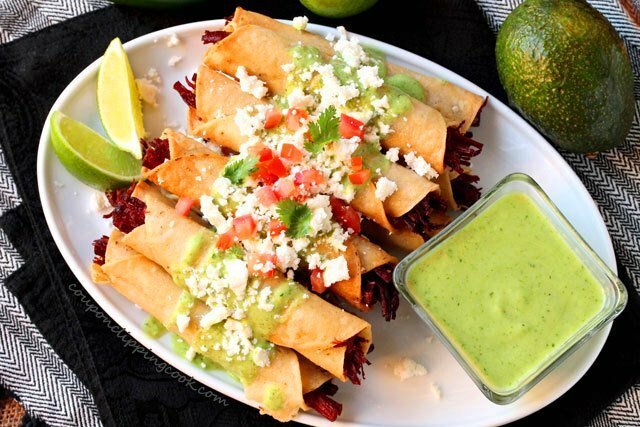 -It makes amazingly great soft tacos. 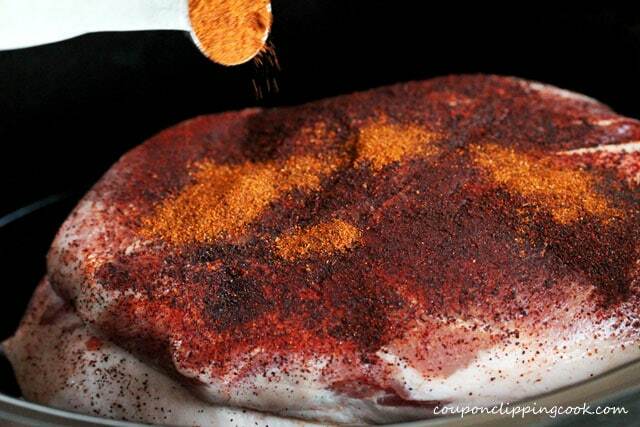 I just can’t help but mention something about what a good deal a pork roast can be when it’s on sale. I like to walk by the meat case each time I’m in the grocery store to see what’s on sale. And when pork roasts are on a great sale, it’s a good time to stock up…if there’s enough room left in my freezer that is. 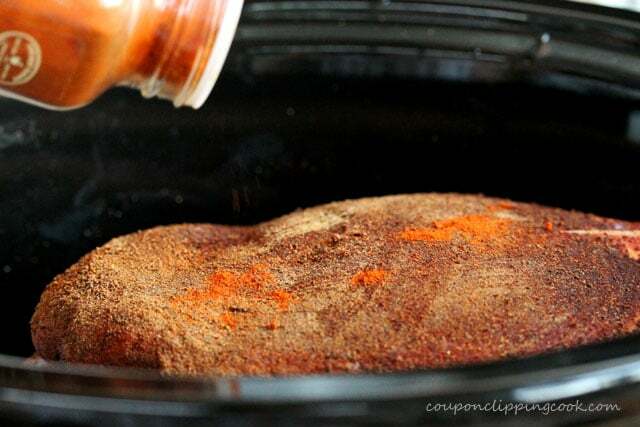 This pulled pork is seasoned with south-of-the-border flavors including two types of chili powder, cumin and Mexican oregano so it has a spicy bite to it. 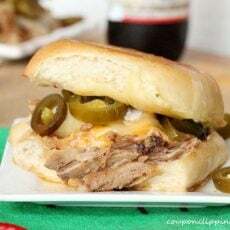 When making a sandwich out of this pulled pork, an option is to use American cheese which melts in every nook and cranny of the pork and tastes really good when topped with sliced nacho jalapeno peppers. This sandwich is also included below. It’s such a good sandwich. 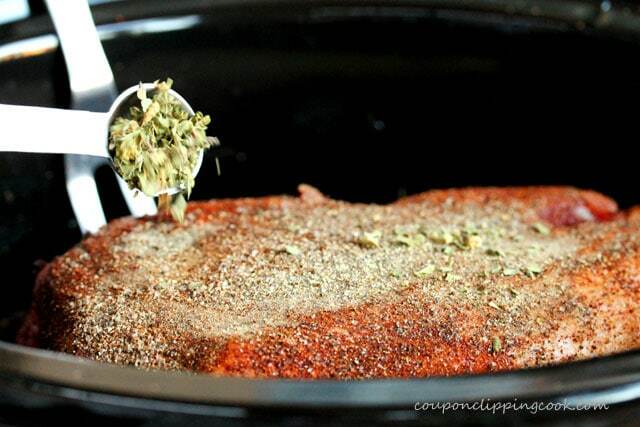 In a large slow cooker pot, add water, apple cider vinegar, and the pork roast. and Mexican oregano. 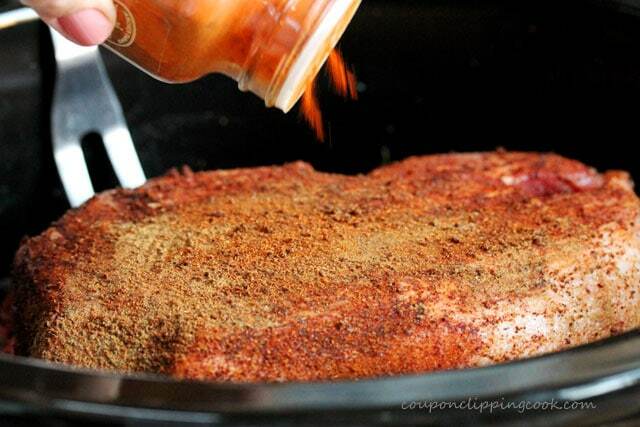 With a cooking brush, spread all of the spices evenly on top of the meat. 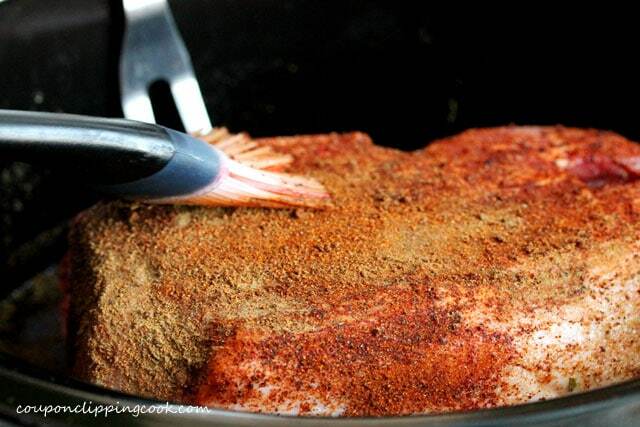 Using a large cooking fork, turn the pork roast over on its other side. 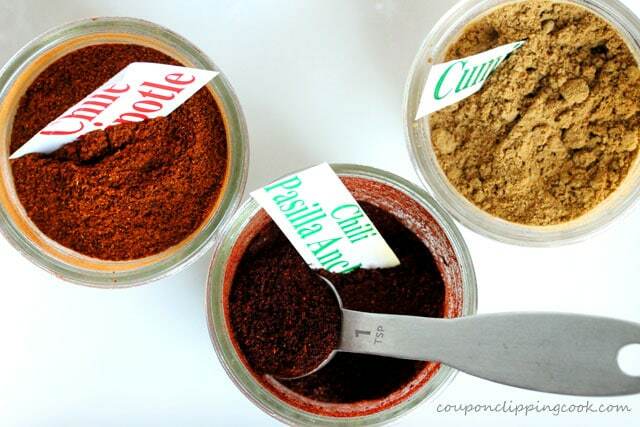 pepper and Mexican oregano. 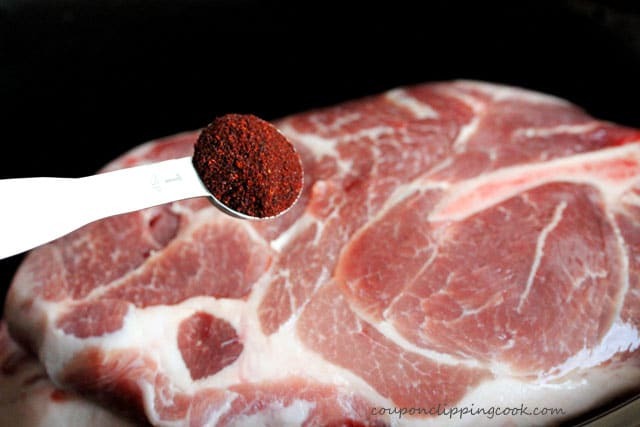 With a cooking brush, spread all of the spices evenly on top of the meat. 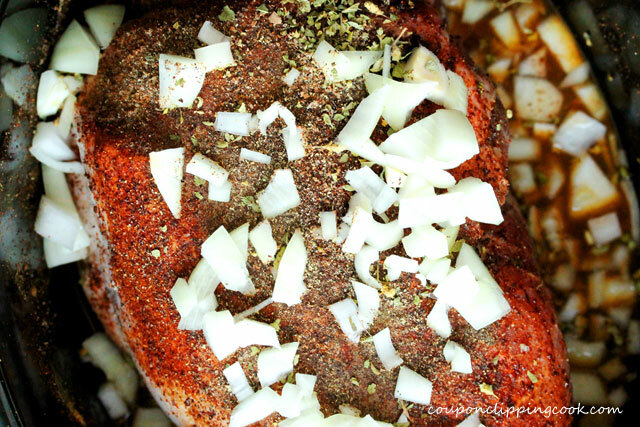 Top with chopped onions and garlic. 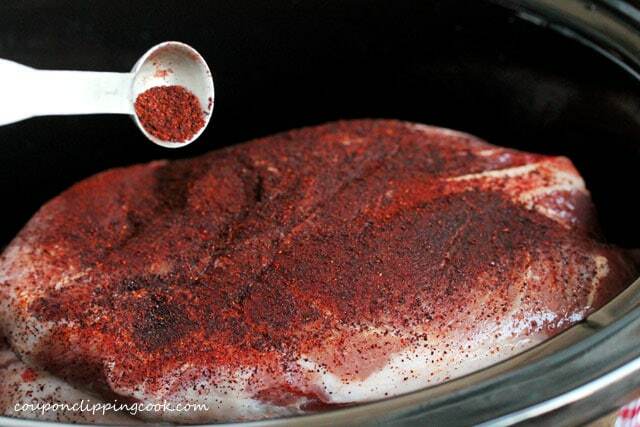 Cover the pot with a lid and cook on the low setting for 6 hours or until the pork is moist and tender. 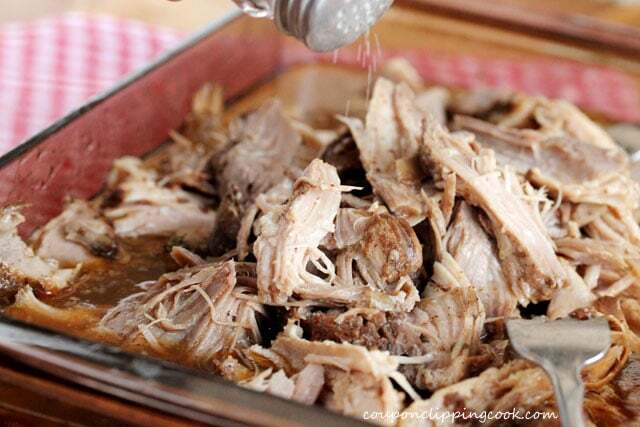 When the pork is moist and tender, transfer it to a large shallow dish such as a casserole dish (reserve the liquid left in the slow cooker). 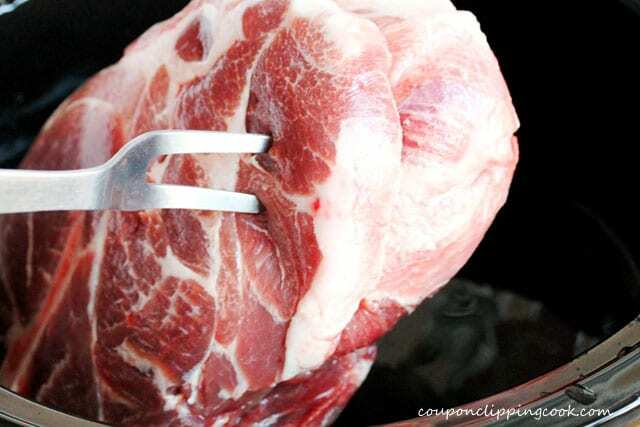 Using a fork in each hand, pull the pork apart into pieces. 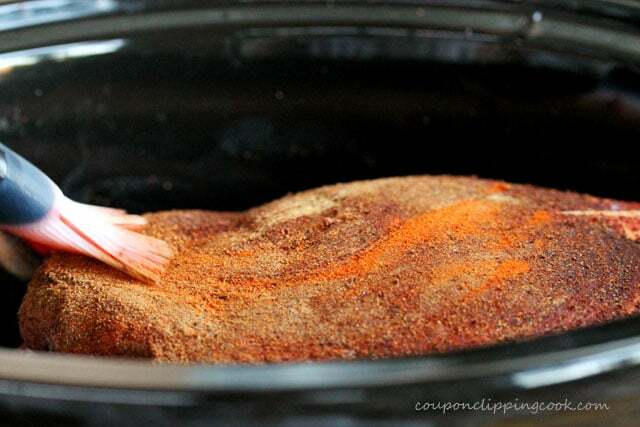 Add a couple ladles of the liquid left in the slow cooker and mix it into the shredded pork. 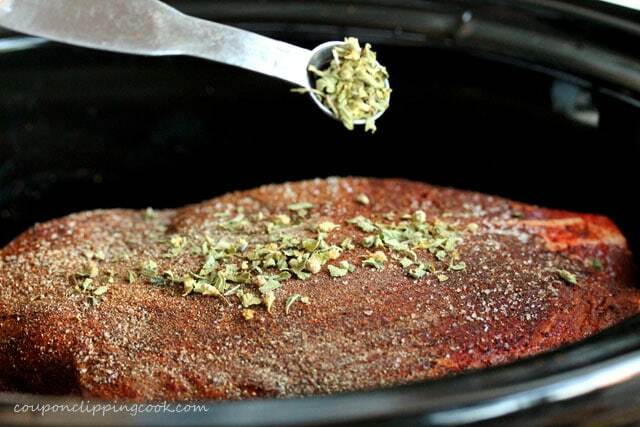 Cut the rolls in half horizontally and lay them face up on a large cookie sheet. Ladle about 1 tablespoon of liquid from the slow cooker over the insides of the rolls. 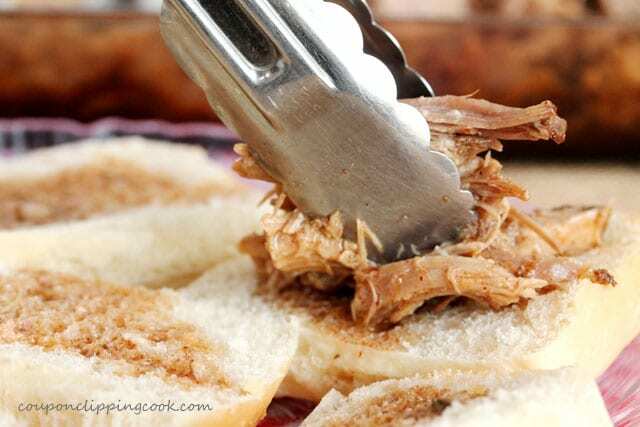 Add the pulled pork to the bottom sides of the rolls. 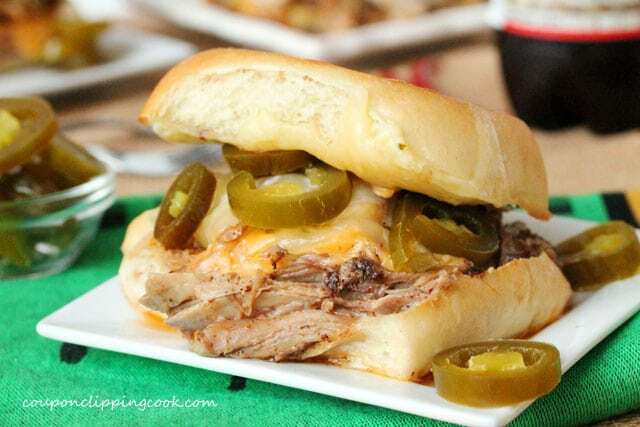 top with American cheese….and add the hot pepper jack cheese to the bottom sides of the rolls. Bake in the oven just long enough for the cheese to melt (about 5 minutes). 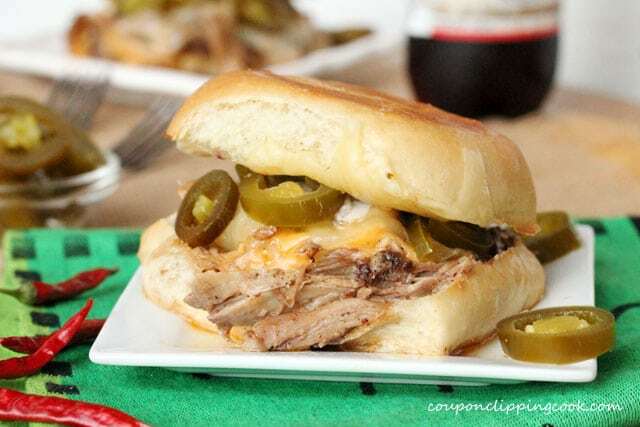 Top the melted American cheese with the nacho jalapeno peppers. 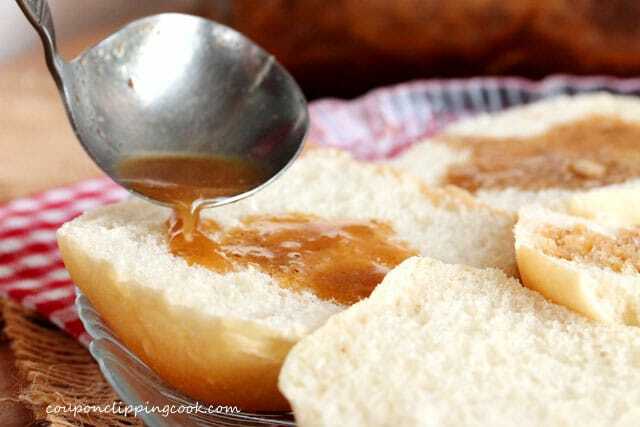 Add the top side of each bun to the sandwiches. Serve while warm and dig in. 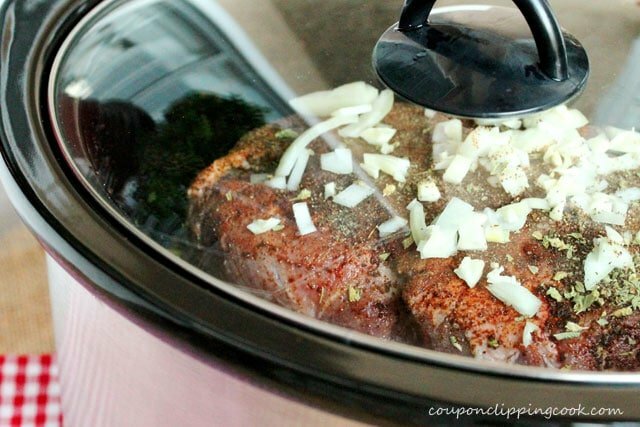 Get more "you" time in your day and let the slow cooker do all the work! 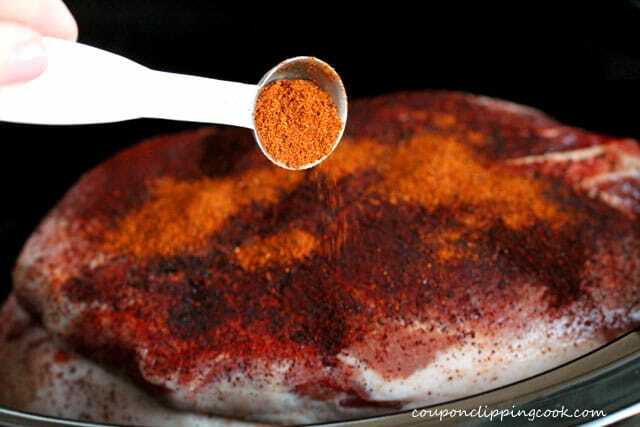 On top of the roast, add half of the following ingredients; Ancho chili powder, Chipotle chili powder, cumin, smoked paprika, salt, pepper, and oregano. 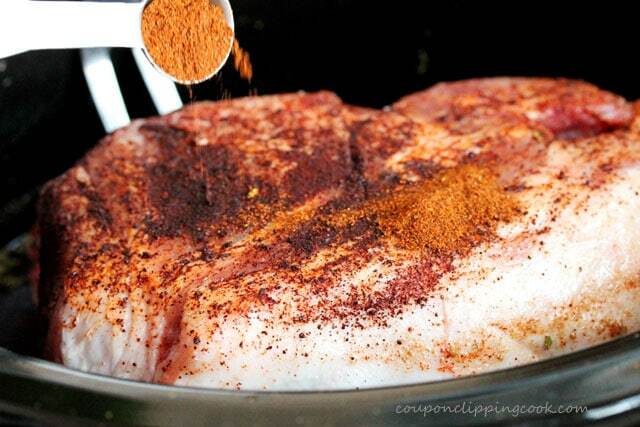 With a cooking brush, spread all of the spices evenly on top of the meat. 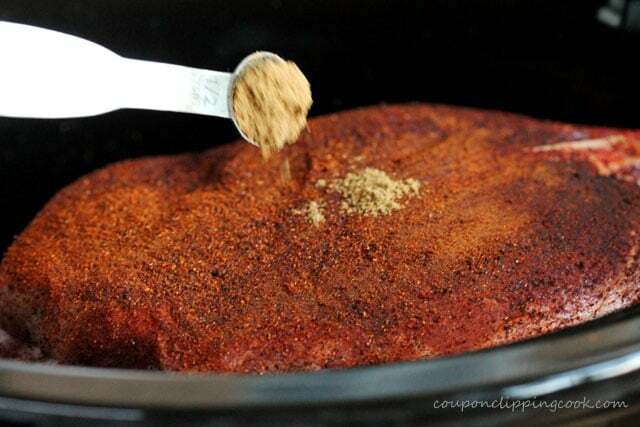 Using a large cooking fork, turn the pork roast over on its other side and top with the remaining spices. 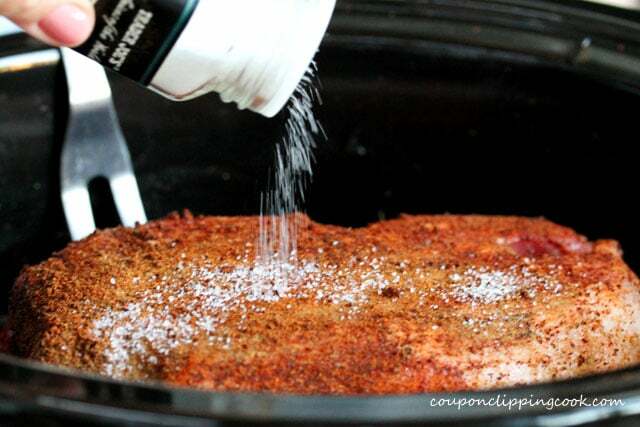 With a cooking brush spread all of the spices evenly on top of the meat. 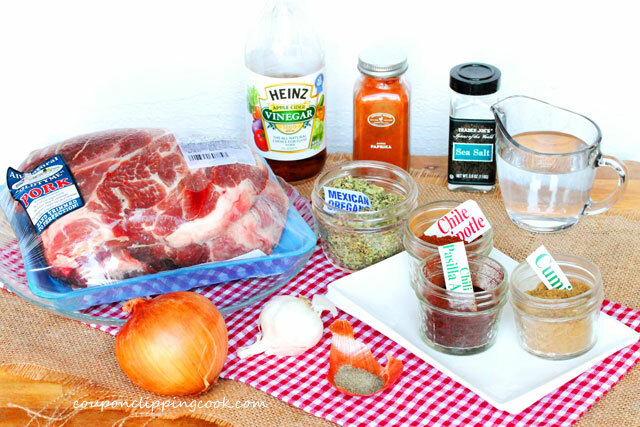 Top the pork with onions and garlic. 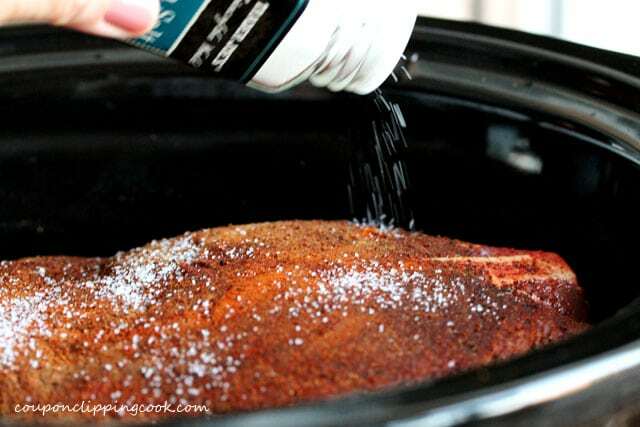 When the pork is moist and tender, transfer it to a large shallow dish such as a casserole dish and reserve the liquid that is left in the slow cooker. 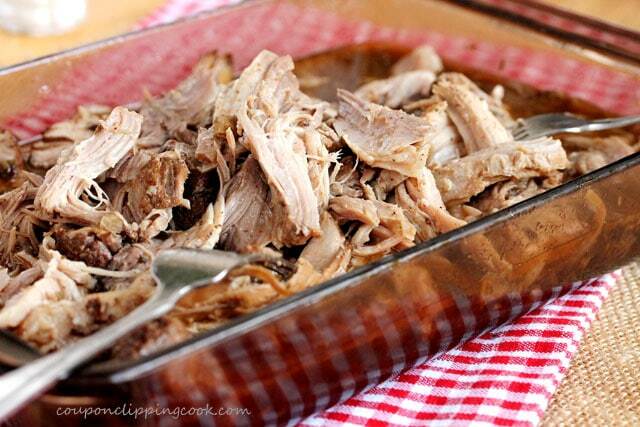 With a fork in each hand, pull the pork apart into pieces. 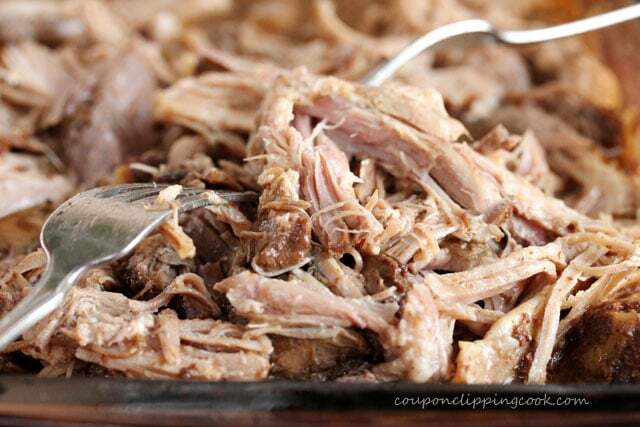 Add a couple ladles of the liquid left in the slow cooker and mix it into the shredded pork. 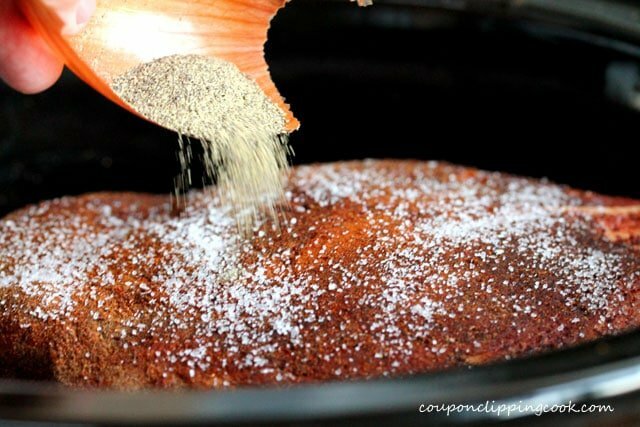 Salt to taste and serve while warm. 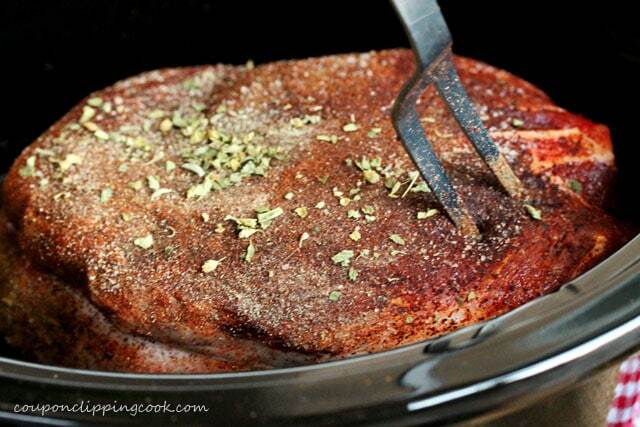 Cut the rolls in half horizontally and lay them face up on a large cookie sheet. Ladle 1 tablespoon of liquid from the slow cooker over the insides of the rolls. 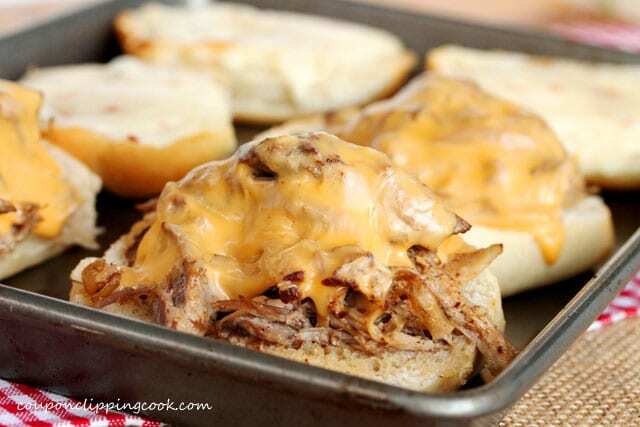 Top the bottom sides of the rolls with the pulled pork and American cheese. 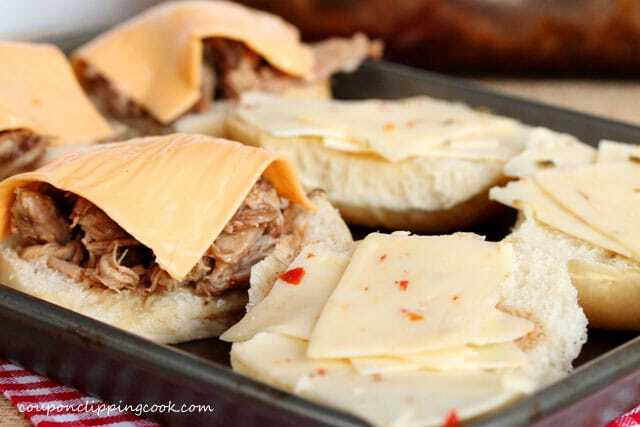 To the top sides of the rolls, add hot pepper jack cheese. Bake in the oven just long enough for the cheese to melt (about 6 minutes). 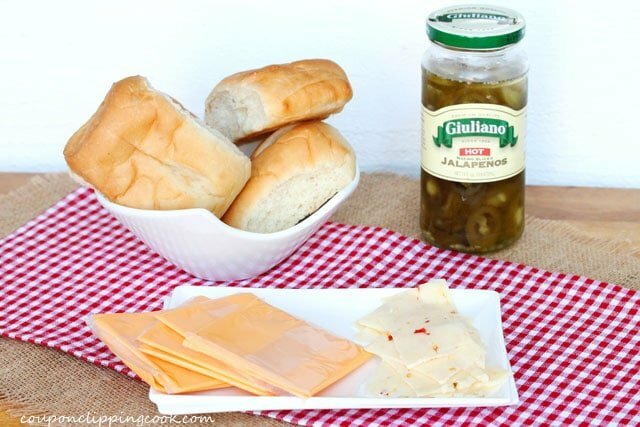 Top the melted American cheese with sliced nacho jalapeno peppers (from a jar). 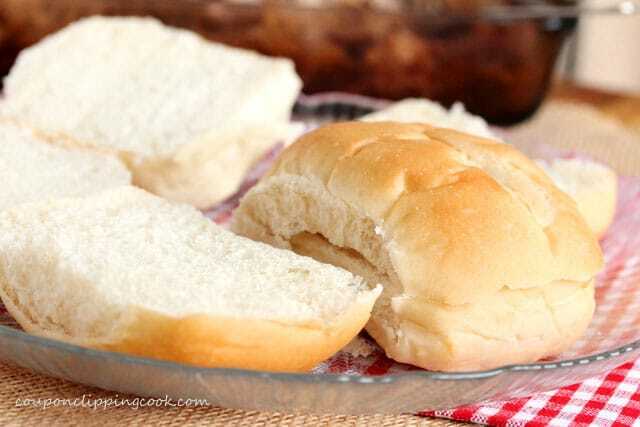 Add the top side of each bun to the sandwiches. Serve while warm.